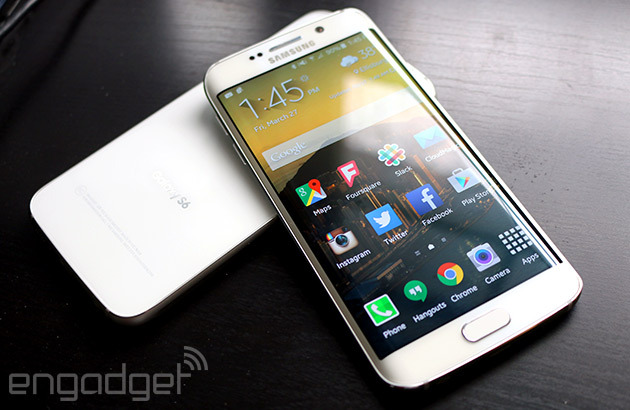 It's no secret that Samsung's curvy Galaxy S6 Edge costs a pretty penny, but there's now a good explanation as to why. 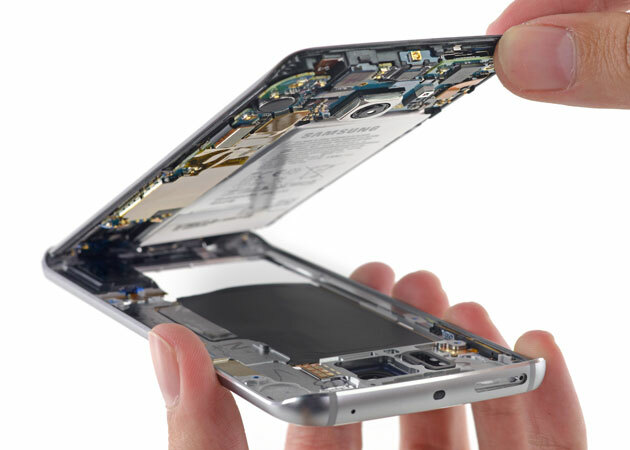 IHS estimates that the raw price of assembly for a 64GB Verizon model is $290. That's more expensive to make than not just the Galaxy S5 ($256 when new), but also the 128GB iPhone 6 Plus ($263) -- if true, Samsung is giving up a lot of profit to make this exotic hardware affordable. The bendy AMOLED screen is unsurprisingly the costliest element here with an estimated $85 price, although the Exynos 7 processor ($30), 3GB of DDR4 memory ($27) and flash storage ($25) certainly aren't cheap. Have you scratched your head wondering why Apple would put audiobooks in iOS' music player, rather than... y'know, a book app? So has Apple. 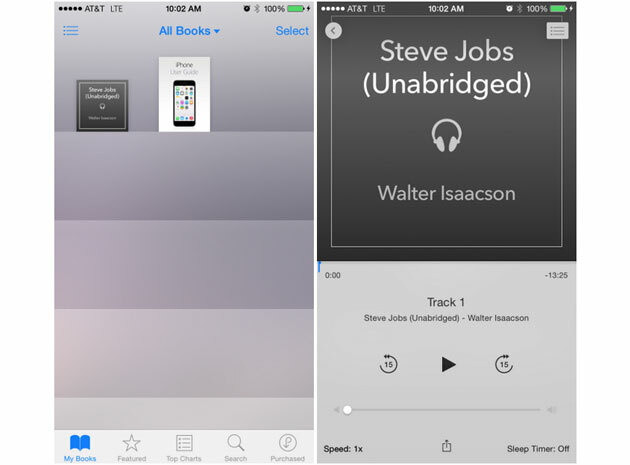 Besides a redesigned music app, the early iOS 8.4 beta also moves audiobooks into iBooks, where they arguably should have been all along. You'll also get must-have playback features like chapter selection and a sleep timer. It's not certain when 8.4 will be ready for the public (WWDC, perhaps? ), but it's already obvious that this is much more than a simple bug fix. The launch of the Apple Watch has got off to a good start, with an estimated 1 million pre-orders in the U.S. on Friday. "According to Slice's Sunday report, which is based on e-receipt data obtained directly from consumers, 957,000 people preordered the Watch on Friday, with 62% purchasing the cheapest variant, the Apple Watch Sport. On average, each buyer ordered 1.3 watches and spent $503.83 per watch." The Late Late Show’s new host James Corden has joined Samsung to launch its flagship Galaxy S6 smartphones. Corden puts a humorous spin on whether the consumer is more concerned about the practical aspects such as battery life, or the appearance of the devices, with the help of his alter ego Wilf Meltson. The new commercial aims to build the excitement around what Samsung says is the “most important phone launch this year”. The Drum reports that Russell Taylor, CMO at Samsung Electronics UK and Ireland, said: “We need a way to communicate not only the design and quality of the two phones and their innovative features, but also entertain and engage our customers. Samsung should pull out all the stops with the release in its Galaxy S range, if it is to turn its mobile phone sales around, which experienced a 21 per cent drop to £60 billion in 2014. Too expensive, lacks a killer app, rubbish battery – it seems the criticisms of the Apple Watch have done little to deter tech shoppers. UK buyers are now able to buy the many versions of the Apple Watch from the company’s website. The bad news, however, is that orders placed now are currently not due for dispatch until an unspecified time in June. Apparently the change to delivery estimates was made just hours after sales of the new device went live last week. Prices for the device itself range from £299 for the 38mm Sport Band edition or £649 for the 38mm Steel Modern Buckle version all the way up to £949 for the 42mm Black Case Stainless Steel model – or even £13,500 for the 38mm Gold releases. That’s not the case of eBay, however, where prices are skyrocketing. The 42mm Stainless Steel Milanese Loop version, for instance, costs £599 from Apple. On eBay it is selling for £1,500. The £319 Sports Bands releases are shifting for up to £800, too. Whether or not the watches will be physically available from Apple’s High Street stores on launch day, which is Friday April 24th, remains to be seen. So, you like Bing but don't like it enough to download its app on your phone. Expect to see a new interface when you load the website on an Android or iOS browser, then, along with a number of new options when you swipe up the translucent card at the bottom. That includes a "Popular Now" section, which is essentially the mobile version of the desktop's news carousel. It lists trending stories around the web, some of which might be relevant to you and your location. There's also a new "Image of the day (IOTD) card" that displays info about the mobile and desktop website's daily background. Finally, you can use the "earn and explore" option to earn Bing Rewardcredits, which you might someday (if you're loyal and persistent) be able to redeem for gift cards. The Lollipop update has turned sour for me and several other Nexus 7, Gen 2 (and Nexus 5) owners. It seems that I'm not alone in having my tablet boot to the Google Logo since a couple of days after updating to Android 5.0.2. Now Nexus 5 owners are reporting a reboot loop in Android 5.1. My device, like many others, is a couple of months out of warranty, but worked great until the latest OTA update from Google. They branded it, and they updated it, but Google claims it is between the buyers and ASUS, the manufacturer. Apple's Watch is now on pre-order at Apple's Store, but unlike Katy Perry, you're going to have to wait until at least April 24th to get one. It could take a lot longer than that if you don't order one sooner than later, however, and if time is of the essence, you may have to settle for a model you didn't have your heart set on. Apple said that it expects "strong customer demand will exceed our supply at launch," and information on the Apple Store backs that up. For instance, the 38mm sport model is shipping between April 24th and May 8th, but the 42mm model isn't going out until May 8th at the earliest. 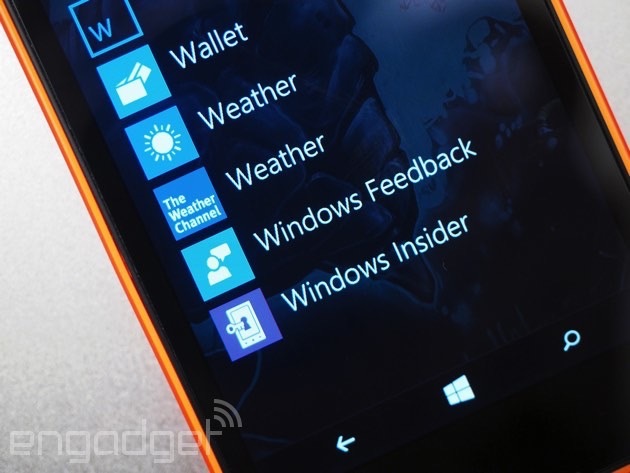 If you've been itchin' to take a look at the mobile version of Microsoft's new browser, now is your chance. The latest Windows 10 Technical Preview is available for phones, delivering Project Spartan and early looks at both its Reading List and Reading View features. As promised, the folks in Redmond also included Outlook Mail and Outlook Calendar apps this time around -- both of which are now the default options for the mobile version of Windows. New Phone and Messaging apps are here as well, as is retooled software for Maps, People (contacts) and an updated App Switcher. Nearly all of the additions sport the redesigned UI that Microsoft has been showing off since Windows 10 was announced back in January. 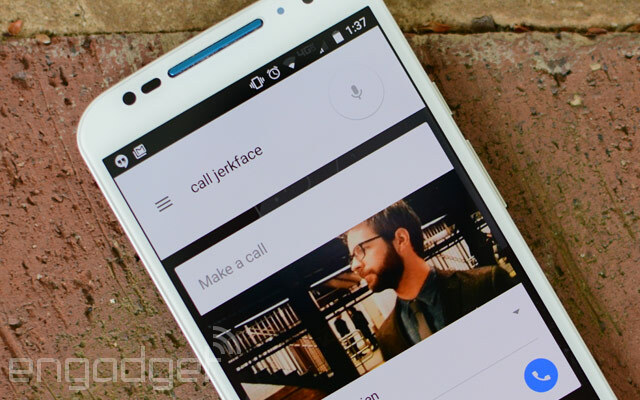 If you've got someone in your contacts list who's a real jerk, Google now lets you call them by saying just that. Thanks to an update to the Google app on Android, you can give those folks nicknames. The feature was already live for some, but it seems to be available for everyone now (just showed up for me). This means when you say "Call Jerk Face," or use something other term of endearment, your phone will dial them automatically. Upon further examination of the APK, the folks at Android Policediscovered Mountain View is progressing towards the Trusted Voice feature that surfaced a few versions ago. That Smart Lock tool will seemingly allow you to unlock a device with a spoken phrase. There's also mention of something called Seamless Hotword, but for now, the name is about the only detail we've seen. If you're not sporting the latest version yet, it's available for download over at Google Play. The more adventurous can snag the APK right here. How Serious Is Hacking In Mobile Games? As a developer contemplating trying out the mobile game scene, a GDC session about hacking/tampering looked interesting — but I wasn't able to attend. The presentation isn't available online, but it was paired with a whitepaper [contact details required], which can be downloaded. I'm surprised by some of the information presented and the potential for damage/mischief. Not so much that these issues are unheard of — they've existed for years on other platforms. What I find surprising is the lack of support at the OS level on mobile devices to defend from many of these types of hacks. Have we learned nothing from the pains of the past? How significant are the points about hacking/piracy in the mobile space that are discussed by this whitepaper? Desjardins Insurance has launched a smartphone app that tracks driver behaviour in return for the promise of substantial savings on car insurance. Two years ago, Desjardins began offering a telematic device that plugs into a vehicle's diagnostic port, to track acceleration, hard braking and the time of day you were driving, for instance. Now, there's no plug-in device required. With Desjardins's new Ajusto app, all you need is your smartphone. But this comes with great concerns over privacy, and problems have been reported where the device was logging data when the user was riding a bus instead of driving his own car. 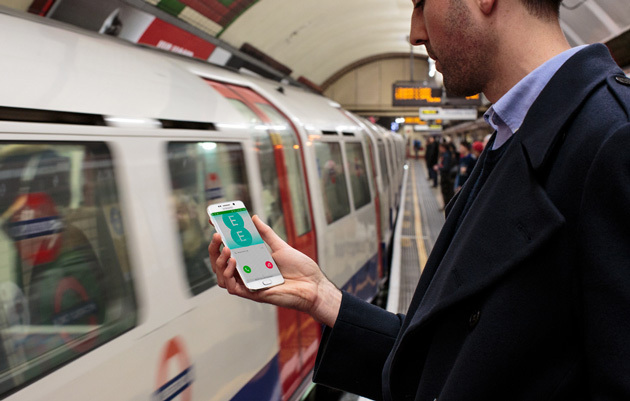 Remember the other day when we said EE's seamless WiFi calling feature was launching on April 10th? Well, there's been a slight change of plan, as the service is available right now on compatible iPhones (the 5s, 5c, 6 and 6 Plus). WiFi calling was originally supposed to launch alongside the Galaxy S6 and S6 edge in a couple of days, and we had no concrete details of when Apple devices might be joining the fray. That's changed today with the release of iOS 8.3, however, which adds support for EE's WiFi calling feature, among other things. It's a fact of life that, shortly before Apple launches a product, gadget fans begin lining up outside stores equipped with a tent and some rations. That's why it was surprising to see new(ish) retail chief Angela Ahrendts discouraging the practice in a memo leaked to Business Insider. She wasn't joking, either, since the only way you can buy an Apple Watch, at least to begin with, will be to order one online. Let's just hope that you can return those vouchers for that Bear Grylls-style survival course. 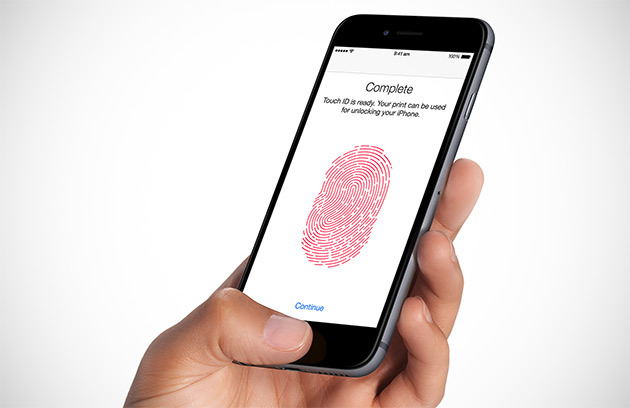 If you haven't downloaded and installed iOS 8.3 yet, you might want to hold off for a bit first. Apple says the update packs that new emoji keyboard and a slew of performance fixes, but multiple reports on Reddit, Twitter and Apple's own support forums claim that the new software build basically breaks TouchID support for iTunes and App Store purchases. It's not yet clear how widespread the issue is -- Twitter in particular is light on the moaning today -- but we've just installed iOS 8.3 on a pair of iPhone 6s on different carriers and now neither of them work the way they're supposed to. Apple’s anticipated Apple Watch may be banned from Switzerland according to reports. With pre-orders for the smartwatch starting on April 10th, a patent dating back to 1985 could stop customers purchasing the device in Switzerland. The patent may ban the watch from sale until the end of 2015, as it covers the use of the word ‘Apple’ and the image of an apple in association with watches and jewellery. The patent currently belongs to William Leong, owner of the Geneva-based watch brand Leonard, which is due to expire on December 5th this year, according toRTS. Apple has said that it plans to sell the new watch in UK, US, Japan, France, Germany, China, Hong Kong, Canada and Australia. 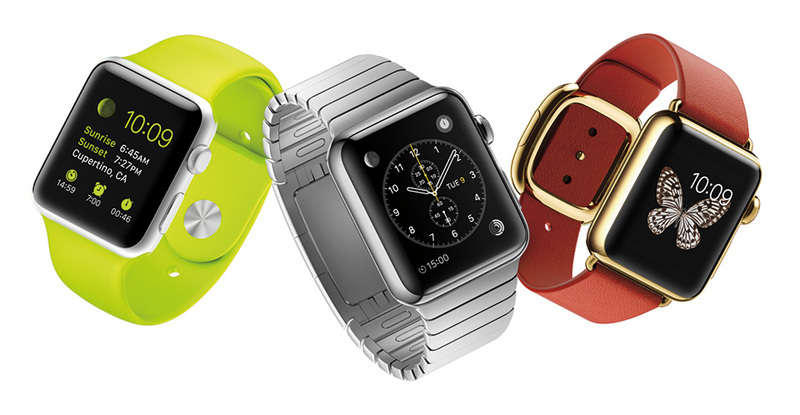 The Apple Watch will start at $349, with various other options priced at around $10,000. The new device has also received some competition from the likes of Swatch, with the announcement that it will release its first smartwatch around the same time as the Apple watch. Apple’s patent describes Kinect-style gesture recognition technology that not only recognises gestures, but remembers them as well. This allows the tech to spot a gesture even when a part of the hand is obscured, leading to greater accuracy, reports Tech Crunch. Apple acquired PrimeSense (who powered much of the technology that went into Xbox’s original Kinect sensor) back in 2013. It was speculated then that the acquisition would result in the introduction of gesture control onto Apple TV as well as a number of other possible uses. PrimeSense’s patents were transferred to Apple last year, and have now been upgraded with the eventual improvements in accuracy and efficacy of gesture recognition. The new patent for “learning-based estimation of hand and finger pose”, relies on 3D imaging hardware that can create precise depth maps, enabling it to seek out a hand gesture by isolating hand landmarks and reconstructing a digital skeleton. It then goes further into estimation algorithms, degree of confidence calculations and weighting formulas. 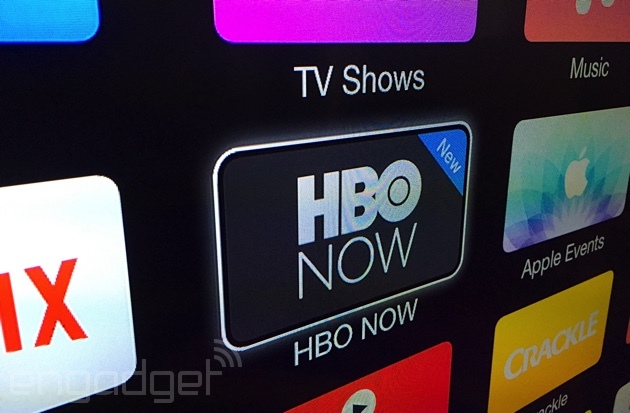 HBO's cable-free streaming service, HBO Now, is available right this very second on Apple TV, iPhone, iPad and iPod Touch, HBO says in a press release. Interested cable-cutters can see sign-up instructions and access HBO Now on desktops here. The service is exclusive to Apple devices for now -- Cablevision is offering its internet customers subscriptions too -- and costs $15 a month. Remember, the new season ofGame of Thrones launches in just five days, so if HBO Now's exclusivity deal with Apple sounds as restrictive as a Dothraki barber shop, that's only because it is. The FAQ says an Android app is "coming soon" (probably outside Apple's 90-day exclusive window), and content-wise it should match what we've seen from HBO Go.